Our sister park, Pale Wood, is hosting an Open Weekend at the end of July. Pale Wood is just a hop, skip and a jump away from Pale Wood, and has a focus less on touring caravans, and more on static Holiday Homes in surroundings just as pretty as the ones to be enjoyed at Henstent Park. Pale Wood is the same as us in the respect that no subletting is allowed – ensuring that the park stays for the exclusive enjoyment of the owners as well as their friends and family. The community at Pale Wood is quite wonderful too, and we’re sure that you’ll absolutely adore the park as well as your neighbours – year after year. Speaking of neighbours, we’re sure that you’ll run into all kinds of wildlife at Pale Wood Holiday Park. The Park itself is home to a wide variety of critters both great and small, and Pale Wood is the proud holder of the David Bellamy Gold Conservation Award for well over 20 years. With a choice of modest (but quality) and High end Holiday Homes, superb neighbours, as well as numerous pretty walks and experiences not too far away, Pale Wood is a perfect base for all of your adventures, and we truly cannot recommend it enough. For those looking to get to Pale Wood, it couldn’t be easier (or more picturesque!) Head Northwest on Pant y Barcud / B4401 towards the B4402. Access the B4402 and continue on for 1.5 miles before turning left on the B4391, just by the Bryntirion Inn. Another left, and then a right, and you’re there! 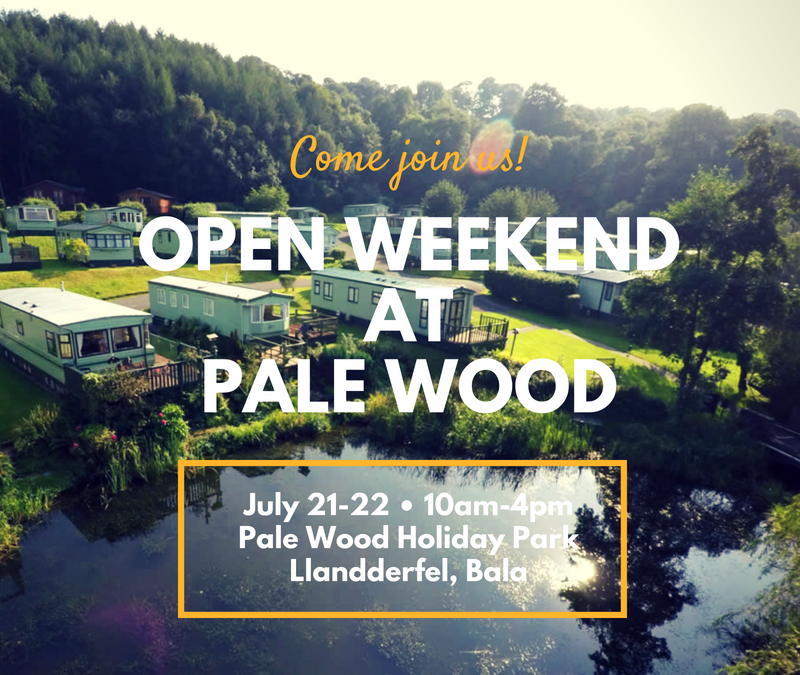 If any of our guests would like to attend the Pale Wood Open Weekend, it’s on the 21st to the 22nd of July from 10am to 4pm, and we strongly encourage going! There will be drinks, nibbles, and the weather looks to be absolutely stunning.